If your business runs a fleet of vehicles, you have probably thought about outfitting those vehicles with fleet dash cameras. 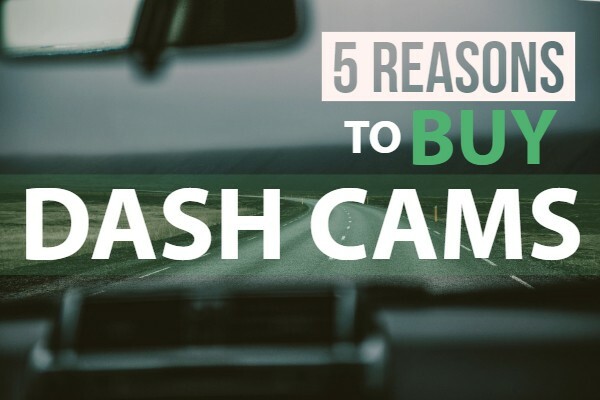 These systems have become smaller, easier to use, and more affordable to the point where dash cams are providing a great return on investment and should be considered standard equipment. Modern wireless communication has also drastically improved their utility. The most obvious reason to have a dash cam is to explain what happened in an accident. Traumatic memories are hard to keep straight, and besides that anyone in an accident wants to believe they were not at fault. Fleet dash cameras can be connected directly to a telematics system that contains defined rules for events that you want to capture. That means the camera and its software system can often automatically send you a link to footage of an accident right after it happens. The reality is that no driver is perfect. Telematics can inform you when a driver shows poor behavior by speeding or braking suddenly, but that data alone is sometimes not enough to explain the driver’s decision. For example, a driver may speed up to go around an erratic driver or may brake suddenly to avoid a collision. The best way to find out what happened is to review footage from a dash cam. A dashcam also helps drivers improve by allowing fleet managers to review their sometimes not so good driving habits and correct them. Without feedback, drivers can get stuck in these habits, and this applies to any type of situation where someone is trying to improve a skill. There are criminals that target commercial vehicles for accident scams. The criminals assume that commercial vehicles are well insured, and they may slam on their brakes in front of a commercial vehicle or speed into a left turn to cause a collision and then claim severe injuries. These scams often include staged witnesses that can be hard to overcome. Dash cam video is the best way to fight back. A driver may occasionally need to make a tough decision with guidance from a fleet manager. Perhaps the weather is becoming nearly too bad to drive or a detour looks troubling. It can be hard for a driver to explain the situation to someone that is not there. With a live-streaming dash cam, a fleet manager and driver can look at the same thing and decide what needs to be done. Most dash cams also include a microphone that will allow a fleet manager to hear what their driver hears. This can help you realize a driver is spending too much time on the phone, or it may reveal that a driver was distracted before an accident by loud music or a conversation. ZenduCAM will capture instant footage during an accident that you can use to either exonerate yourself from fault or to train your drivers on accident avoidance without ever having to remove the camera from the vehicle. Wireless connectivity capability via wifi or cellular network allows you to access data anytime, anywhere. What is Fleet Safety & How Can it be Improved?